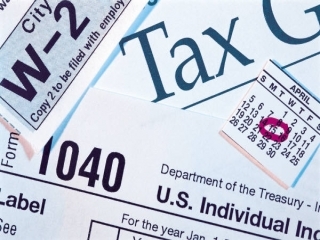 Larry's Income Tax - IRS Schedule 4: Do You Owe These 7 Extra Taxes? IRS Schedule 4: Do You Owe These 7 Extra Taxes? Tax reform measures have created new tax forms for taxpayers to complete, and many people are struggling to understand how to deal with the differences between the new forms and what they've filled out for years. Although the main 1040 form is a lot shorter than it used to be, there are new schedules that taxpayers have to attach to file a complete return. Schedule 4 includes a number of taxes other than primary income tax. Although many taxpayers won't have to pay any of these additional taxes, those who do could see substantial boosts to their tax liability. Here, we'll look more closely at Schedule 4 and whether you might owe one or more of these taxes. Proudly serving Kenner, Metairie, Jefferson Parish, Covington, Mandeville, Slidell, New Orleans,and all of Southeast Louisiana. Licensed to practice in all 50 states.